More voters have cast ballots in this year’s midterm, as of Saturday, than the total number of votes cast for the entirety of the 2014 midterm election in Hidalgo County. There are about 38,627 more voters eligible to vote in this year’s midterm election, compared to the previous midterm, according to information provided by Hilda Salinas, a elections analyst with the Hidalgo County Elections Department. During the first five days of early voting in the county this year, 57,624 registered voters cast ballots in person — a 2,444 vote difference from the total number of ballots cast in-person in the 2014 midterm. During the 2014 midterm election, 55,180 Hidalgo County residents voted in-person. Early voting runs through Friday, Nov. 2. Election Day is Tuesday, Nov. 6. The county has about 426 volunteer deputy registrars, residents who are trained and eligible to distribute and accept voter registration applications in their home county. Amanda Salas, a volunteer deputy registrar from McAllen, said she registered 2,832 voters from mid-June until Oct. 9, the final day to register to vote in this year’s midterm. Salas said the Rio Grande Valley can be “really apathetic” toward voting, but intends to break the cycle by educating and empowering newly registered voters. About 17.6 percent of eligible voters have submitted ballots in person or by mail in the county during this midterm election. A polling location is set up inside the university’s student union building, where 3,364 registered voters cast ballots as of Friday. In 2016, 3,175 residents voted early there during the first five days of early voting. “Nationally and internationally, in the case of the caravan coming, there are some high-profile events that are occurring, that’s still affecting maybe the potential impact of the midterm elections,” Altema said, referring to the caravan of Central American migrants making their way to the U.S.-Mexico border. The caravan sparked reaction from local congressmen as well as President Donald Trump. Trump rallied for U.S. Sen. Ted Cruz, R-Texas, in Houston on Monday, the start of early voting, a sign that O’Rourke is “more of a viable candidate than they gave him credit for,” Altema said. Cruz will make a campaign stop at Christian Fellowship Church in Harlingen on Monday. O’Rourke held campaign rallies in the Valley with Rep. Joe Kennedy III, D-Mass., this month. Some of those local races include that of county judge, pitting Democrat Richard Cortez against Republican Jane Cross and the state House District 41 race in which state Rep. Robert “Bobby” Guerra, D-McAllen, is challenged by Republican Hilda-Garza DeShazo. “ Both political parties would benefit, if turnout rates among all the voters (in Texas) were to increase, compared to how it was in 2014,” Altema said. There are also school board races in Edinburg, Weslaco, La Joya, Donna, Edcouch-Elsa, Mercedes and Monte Alto. In the city of Edinburg, there are four propositions on the ballot. Hidalgo County Drainage District No. 1 also called for a proposition, asking voters to approve a $190 million bond for drainage improvements. 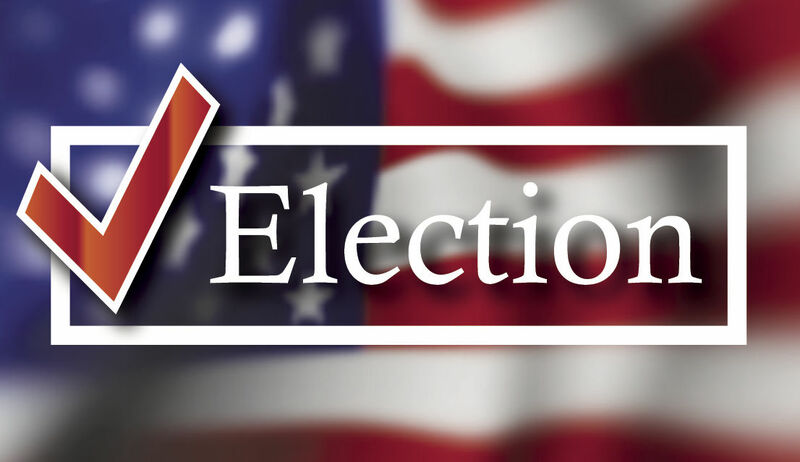 Voters in the cities of Weslaco, Donna, Edcouch and Palmview are also electing members to their city commissions and councils. On Monday, 32 early voting polling locations in the county are open from 7 a.m. to 7 p.m. Mobile voting sites will be stationed at the Hidalgo County Courthouse and South Texas College’s Mid-Valley campus in Weslaco on Monday. Sunday, Oct. 28 …….. 10 a.m. to 3 p.m.
Monday, Oct. 29 ……… 7 a.m. to 7 p.m.
Tuesday, Oct. 30 …….. 7 a.m. to 7 p.m.
Wednesday, Oct. 31 ….7 a.m. to 7 p.m.
Thursday, Nov. 1 ………7 a.m. to 7 p.m.
Friday, Nov. 2 …………..7 a.m. to 7 p.m.
200 W. Santa Rosa Ave.
Those with questions on the early voting schedule or substation locations, call the Hidalgo County Elections Department at (956) 318-2570. Office hours are from 8 a.m. to 5 p.m. Monday through Friday. You can also email the department at elections@co.hidalgo.tx.us. Sunday, Oct. 28……….8 a.m. to 5 p.m.
Monday, Oct. 29………8 a.m. to 5 p.m.
Tuesday, Oct. 30……..8 a.m. to 5 p.m.
Wednesday, Oct. 31…8 a.m. to 5 p.m.
Thursday, Nov. 1……..8 a.m. to 5 p.m.
Friday, Nov. 2 …………8 a.m. to 5 p.m.
Those with questions on the early voting and Election Day schedules and locations, call the Starr County Elections Department at (956) 716-4800.